On the Costa del Sol you find a lot of beaches, sports facilities, real estates and… shopping centers. The biggest shopping center on the Costa del Sol or better, in Andalucia is La Cañada in Marbella. But there are some other shopping centers, which are just small and nice like Laguna Village. It is located first line beach on the New Golden Mile in Estepona, right next to the stunning Kempinski Hotel, Km 159 on the N-340. The commercial center opened its doors to the public in 2006, and now it is nearly full of shops, nicely decorated and finished. As well as there is the Puro Beach Club, which is one of the nicest beach clubs in this area. This gives the whole shopping center a more glamourous and beautiful touch. And very important, there is plenty of parking. 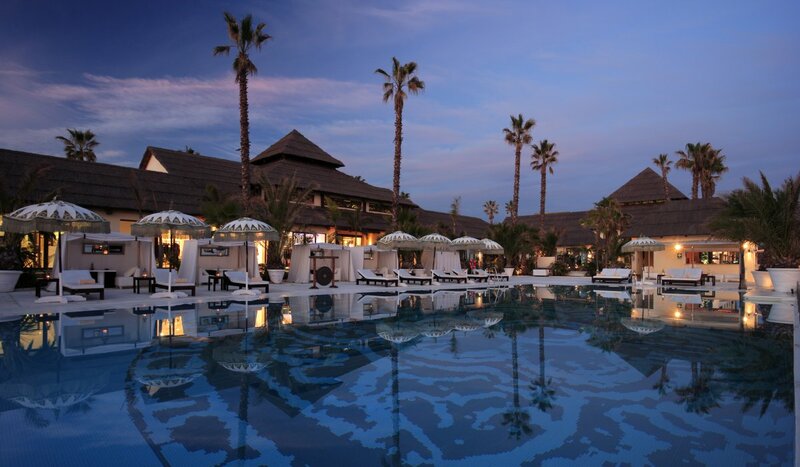 If you have time, just visit the Laguna Village Shopping-Center and enjoy a walk on the nice beach next to the Hotel Kempinski and after that enjoy the nice food at the Mai Tai Restaurant, which is excellent. Awesome picture. Did you take it? Been reading your blog it’s pretty good. Yes, it is a fantastic picture. But I didn’t take it. It’s from their website.